Explanation: Eating surface ice from Enceladus might be healthier than eating ice from Saturn's rings -- it certainly appears cleaner. From their apparent densities and reflectance properties, both the rings of Saturn and its shiniest moon, Enceladus, are thought to be composed predominantly of water ice. For reasons that are not yet understood, however, many of Saturn's ring particles have become partly coated with some sort of relatively dark dust, while the surface of Enceladus appears comparatively bright and clean. 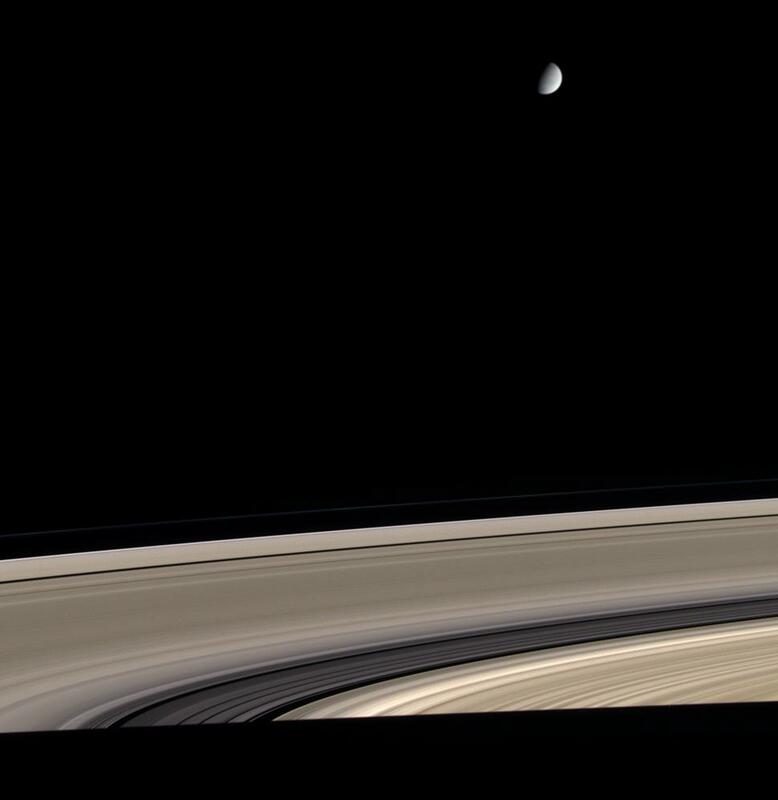 The contrast between the two can be seen in the above image taken last month by the robot Cassini spacecraft now in orbit around Saturn. 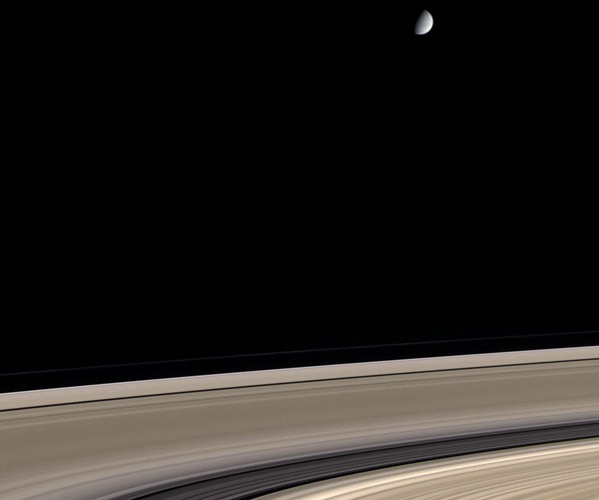 Bright Enceladus shines in the background in contrast to the darker foreground rings. The reason why Enceladus is so bright is currently unknown but might involve bringing fresh water to its surface with water volcanoes.